There were quite a few people about on the shore path, the bad weather hadn't put anyone off. We could barely see across the lake at first, the clag had descended onto it. 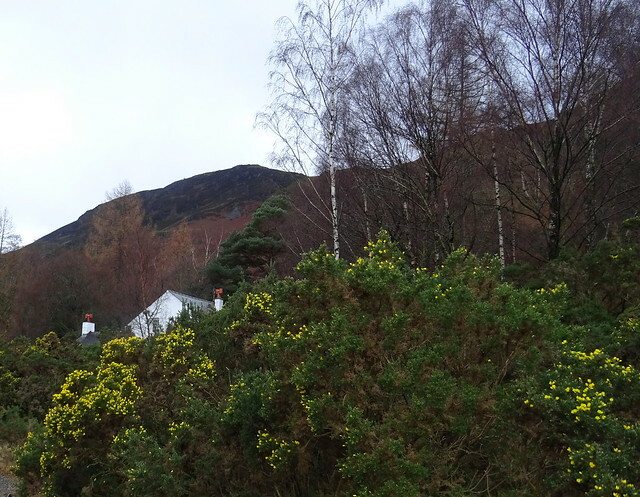 The clag had lifted and we had some views. We stopped for some lunch in the trees. It had been wind free when we stopped but as soon as we sat down in our chairs the wind started swirling. It was too uncomfortable in the wind so we gobbled our sarnies and packed away the rest to have later. We walked to Lodore as the rain got heavier. We'd decided to sack the day and get the bus home. Nice to see you LL Our route was Keswick - Portinscale - Hawes End - Brandlehow - Lodore Hotel. 10.5km with 185m ascent. The powers that be must think nobody needs to use the toilets in winter. The toilets at Lodore were closed for the winter. We hopped on the bus to Rosthwaite hoping to use the toilets there only to find those toilets were closed too. We were getting back on the same bus on its return from Seatoller. 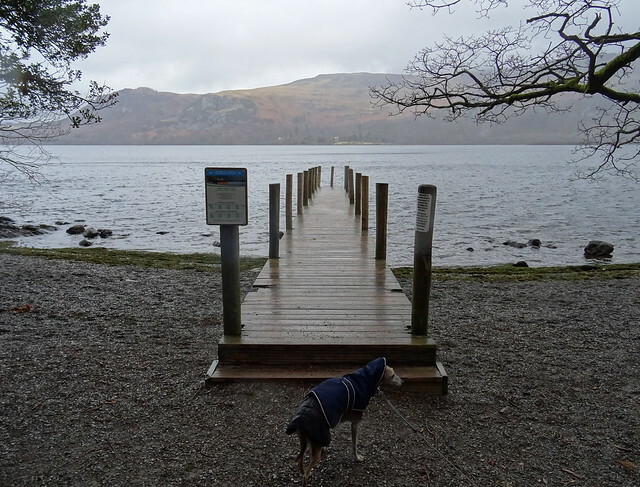 We had to wait until we got to Keswick. There were a lot of people about surely there should be toilets open? Note to self. Remember to put your shewee in your pack. Another note to self. Remember to practise using your shewee at home. [size=78%]Note to self. Remember to put your shewee in your pack. [/size][size=78%] [/size]Another note to self. Remember to practise using your shewee at home. Always good to get out, whatever the weather, April. By coincidence, I lost a glove today whilst walking the South Ronaldsay clifftops in the rain. Were you as lucky as I was, or is it lost forever? Gone forever, I fear. But it was only a cheap pair, so not too bothered. 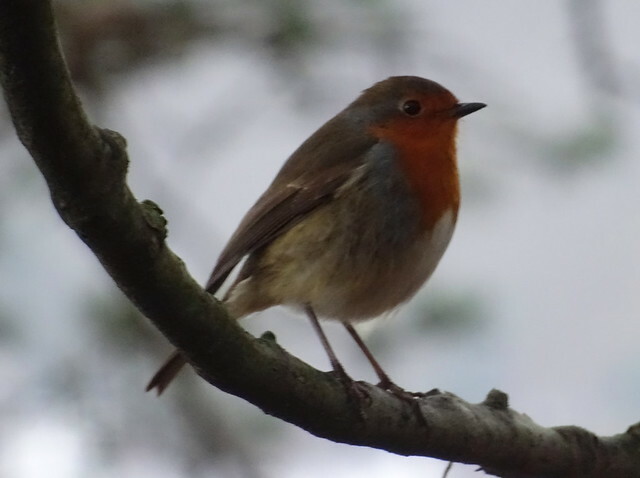 Good photos & nice TR despite the 'iffy weather. I mean, did you flush it out? Thanks Ridge, I was lucky to get it, I only managed to get this one shot, it flew off afterward. Note to self - buy bright coloured gloves. @April Good to bump into you both again last weekend. 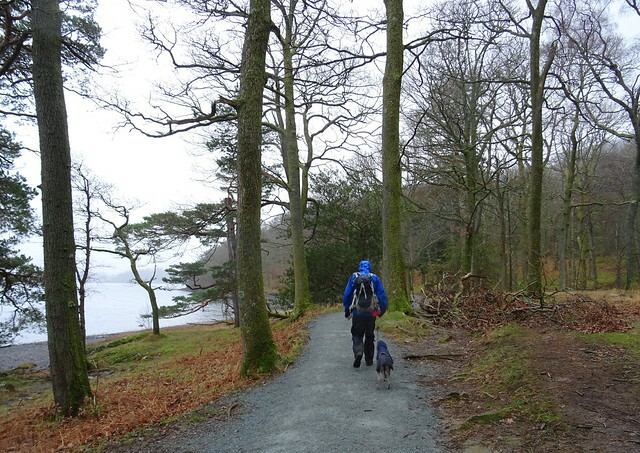 A low level circuit of Derwent Water was definitely the best option for a walk last Saturday, given the awful weather. The loos at Seatoller are also shut during the winter.